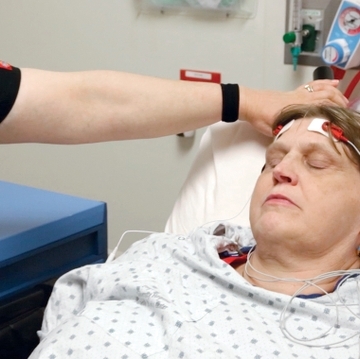 Electroconvulsive therapy sounds scarier than it looks. An electrode placed on a sedated patient’s right temple sends 25-millisecond bursts of electricity surging through the brain for seven seconds, inducing a 40-second seizure. Drugs briefly paralyze the patient’s muscles; only faint twitching in one foot betrays what is happening. 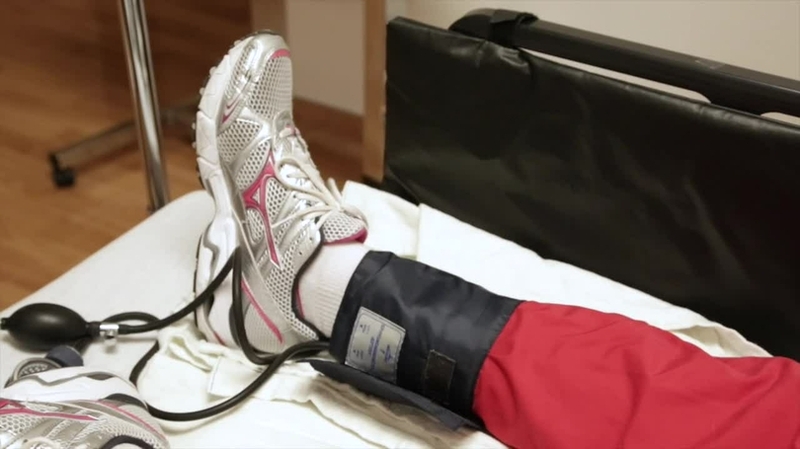 “It’s really anticlimactic,” says Christopher Abbott, MD, medical director of the University of New Mexico’s Electroconvulsive Therapy Service. But ECT, as it is known, can yield dramatic results for patients with severe, treatment-resistant depression. Abbott says a month-long course of ECT treatments often relieves depression symptoms while spurring the growth of new neurons in the hippocampus, a brain structure that plays a central role in forming long-term memories. He is part of a $12 million multi-modal neuroimaging investigation to explore the neural basis of psychiatric disorders. Abbott conducts MRI scans of patients’ brains before, during and after ECT to better understand how the treatment works and which patients are most likely to benefit. 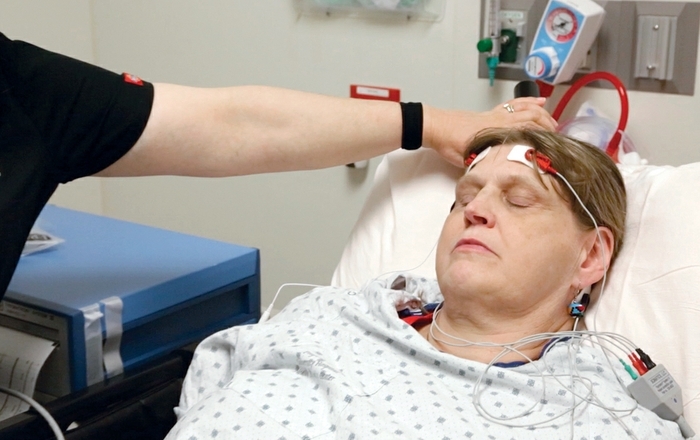 Keeping Current: Tracking the Neural Effects of Electroconvulsive Therapy from UNM Health Sciences Center on Vimeo. 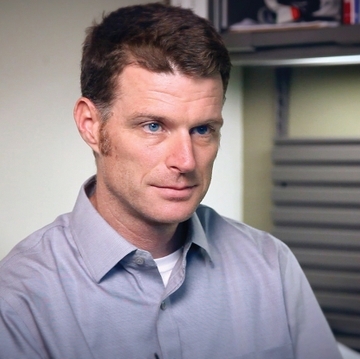 Abbott, who completed his residency in psychiatry and earned a master’s degree in clinical and translational research at UNM, credits Juan Bustillo, MD, a professor of psychiatry and neurosciences, for his mentorship in neuroimaging. “He’s been really instrumental in helping me develop my research career,” Abbott says. Abbott, who also was a KL2 scholar, credits the UNM Health Sciences Center for providing multiple resources to support his research.